Sally graduated from the University of Canberra with a Bachelor of Laws in 2017. After completing her Graduate Diploma in Legal Practice at the Australian National University, Sally was admitted to legal practice in August 2017 and joined Colquhoun Murphy in December the same year. 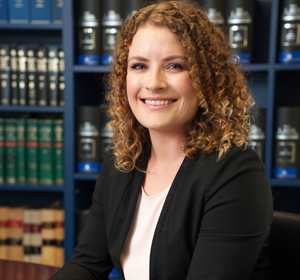 Sally’s background is primarily in the public sector, working in federal government in the area of freedom of information law prior to joining Colquhoun Murphy. During her studies, Sally volunteered at Legal Aid assisting small business owners with a range of legal issues. Sally enjoys work across a range of practice areas including commercial and civil litigation, personal injury and workers compensation, wills and estates and transactional commercial and property matters.